Well, that was a fun ride! Three World Series victories in five years. As Giants fans, we have to savor it because we never know if and when it will happen again in our lifetimes. Years from now, I have a feeling we as fans of San Francisco sports teams will look back to the Giants in the 2010s like we now do the Niners in the 1980s. That it was a special time and that we were fortunate. 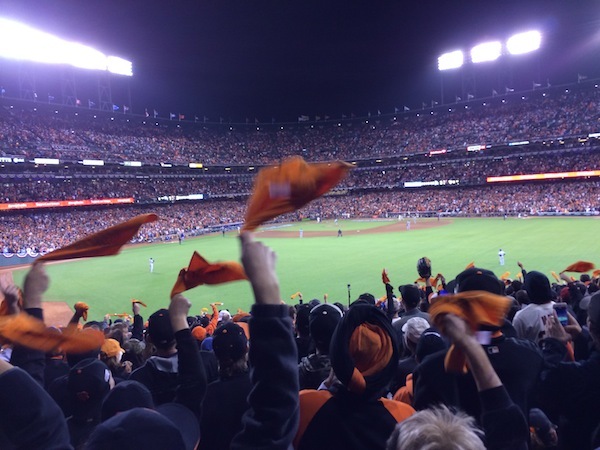 I attended five playoff games this year — two NLDS games, including the clincher; two NLCS games, including the clincher; and Game 3 of the World Series, where I sat in the bleachers for the first time. I watched the rest on TV, living and dying with every pitch. It was fun. Yet stressful. Nerve-wracking. But in the end, it was pure joy. Now, I have five orange rally towels. Each time I’ve come home from a game, I’ve just flung them on top of the bedroom dresser. What am I going to do with them? Kinda goofy. 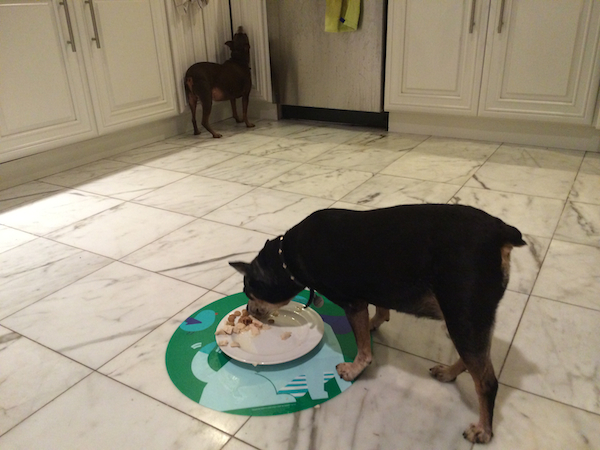 My dog Robbie, who eats way too fast, puts himself in a time-out to stop himself from trying to steal his sister Brandi’s dinner. He knows if he tries, she’s going to go Cujo on him. I’m happy when the bands of my youth choose not to retire and continue to tour and make new music. New Order was fantastic in San Francisco last night. 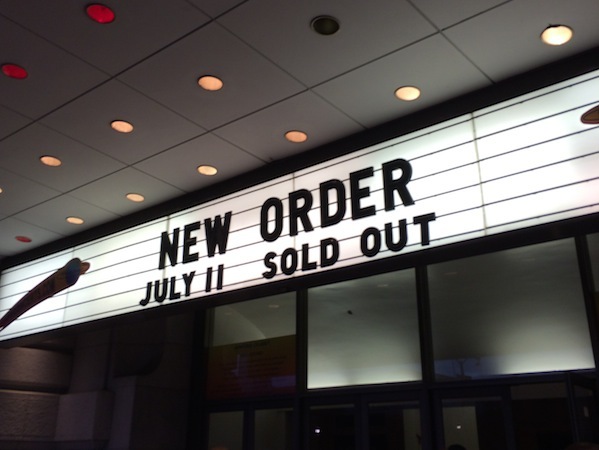 My first ever concert was New Order in the summer of 1989 at the Shoreline Amphitheater in Mountain View, Calif. I remember doing the driving and coming home with a nail in one of the tires and my dad was not pleased with me. That was back when I felt the U.K., particularly Manchester, England, was the center of the music universe. I saw New Order as recently as last year in Vegas. But of the four times I’ve seen the band, last night was my favorite. I was surrounded by people who also grew up with late ’80s modern rock, who for a brief moment, also wanted to relive their youth. The audience was loud. Everyone was into each song, enjoying themselves and dancing as the band, full of energy, played their hits, from Bizarre Love Triangle to Blue Monday. My wife said what made last night’s concert special was the crowd. She likes to read crowds, and last night, the thousands that packed the Bill Graham Civic Auditorium was full of positive vibes. Sometimes at concerts, there’s tension when people bump into you as they push their way to the front of the stage. But she said last night’s New Order concert was different. People made eye contact and smiled as they gently weaved their way to the front. And it was true. Well, for one night, that was indeed true. Summer means a lot of concerts and baseball. 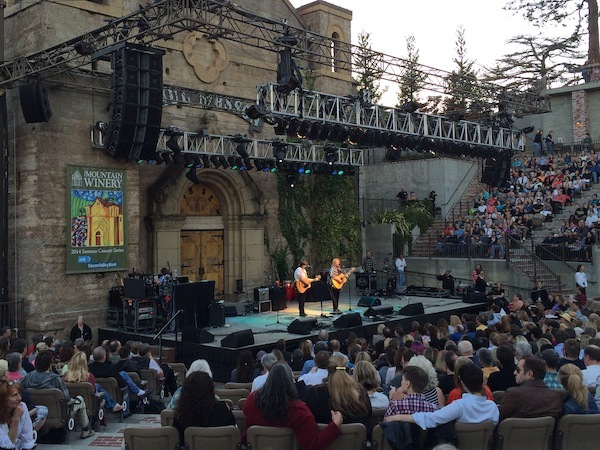 The Mountain Winery in Saratoga is one of my favorite music venues — picturesque, low key and close to home. It makes it easy to attend concerts on a weekday night. We don’t have to rush out the door and drive 45 minutes to an hour up to San Francisco, Oakland or Berkeley, which is a long, miserable schlep after a work day. But with the Mountain Winery, it’s just a quick eight-mile drive on city streets. I do have one small nitpick with the venue. I’ve gone to two concerts there so far, and both times, they didn’t take our tickets. We just strolled on through. It’s like you walk in a little late and the ticket takers are already gone. The first time, the main act had already begun. The second time, last week, the opening act was midway through the set. At least this time, some guy 10 feet away from us on the main path said, “Hello, good evening.” I waved my folded-up, printed-out tickets, which could have been blank pieces of paper for all he knew, and he just waved us on. If I’m going to spend money on tickets, at least take my tickets, so I don’t feel like I could have seen the concert for free! 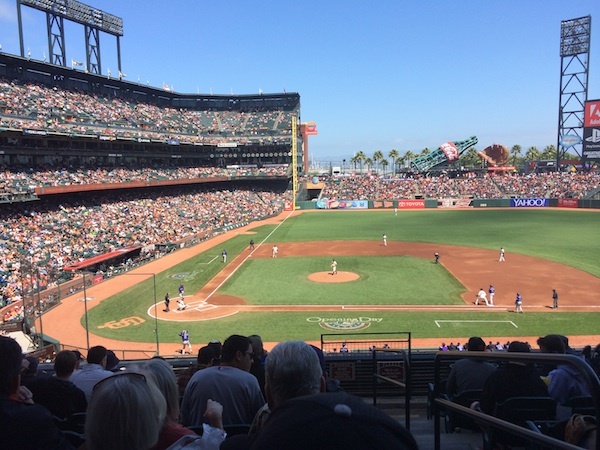 This season, my brother and sister-in-law upgraded their Giants’ season tickets. And this is the awesome new view. It’s a huge improvement. 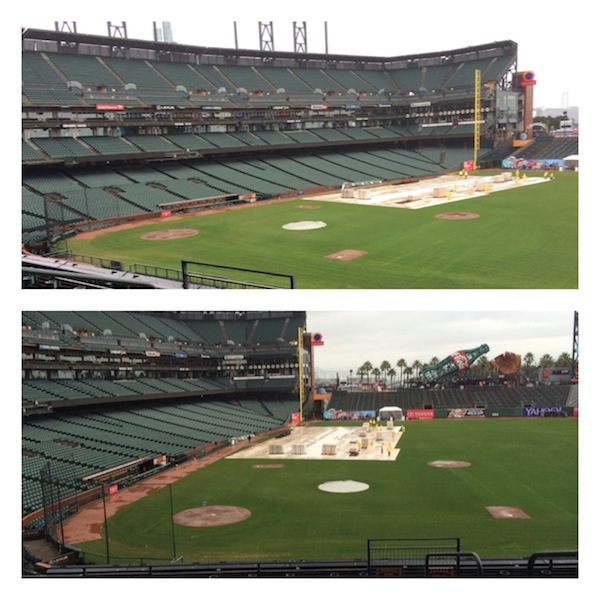 Here are the before and after shots, taken in February when we took a field trip to AT&T Park to check out the new seats. My brother, uncle and I bought the rights to the original seats before the ballpark opened in 2000. When I moved to Arizona for ten years, my brother and sis-in-law kept the seats, and I’d attend a few games a year during my visits home. We had some good times in the old seats — the 2002 playoff run, the Barry Bonds’ moon shots over the right field wall, and the 2010 and 2012 World Series championships. We miss some of the people in our old section, for sure. Some of them became like family. The next time I attend a game, I’ll have to go to the old section and say hi. 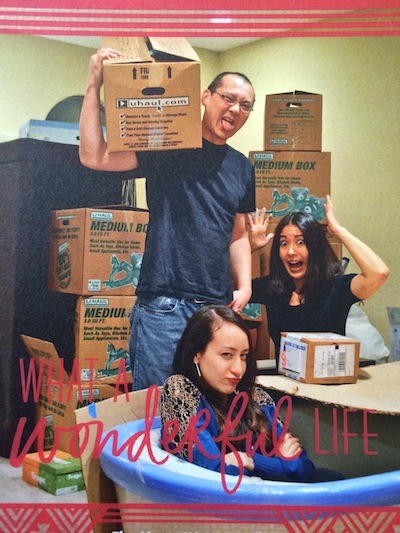 This was our holiday card. It pretty much sums up our 2013. 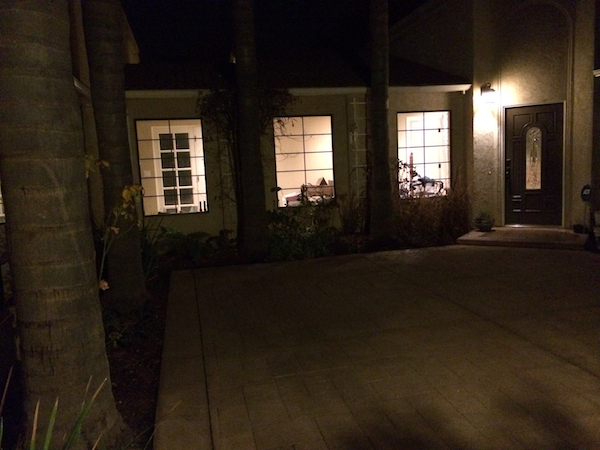 We sold our house in Arizona in February and moved into a quaint rental in California. In September, we began house shopping, found one we loved, bought it in October and we’ve been remodeling ever since. Who needs to watch HGTV and its house-selling, house-hunting and remodeling shows? I’m living it. Moving twice and doing house renovations twice in one year (once to sell, once after purchasing) is exhausting! We moved into our new house the day before Thanksgiving and even managed to host Thanksgiving dinner. But we’re still living among boxes as renovations reach its 10th week. We do see light at the end of the tunnel. The last remodeling project, our master bathroom, should be completed within the next two weeks and we can finally get settled. I like that. It’s true. We moved back home to California, so we could be among family and friends. The year 2013 was about transitioning back. I look forward to 2014, and I look forward to using this new space — our courtyard. We plan to string up lights, put in furniture and have movie nights on warm, summer evenings.